Venezuela’s President Nicolas Maduro has defended his decision to scrap the nation’s most-used banknote, 100 bolivares. The 100-bolivar note withdrawal has prompted protests and looting in several states as the supply of ready cash rapidly ran out. However, Nicolas Maduro said taking millions of notes out of circulation had smashed the black market. He also decided to postpone the withdrawal until January 2. Nevertheless, some businesses were reportedly still refusing to accept the 100-bolivar notes, even though they remain legal tender until the New Year. There were more reports of rioting on December 18. In the western state of Tachira people raided warehouses in search of food. Many said they were afraid of what would happen next, despite the postponement of the withdrawal. At the Colombian border there were scuffles as people scrambled to buy food and medicine, which are scarce in Venezuela. Nicolas Maduro said that Venezuela’s borders with Colombia and Brazil would remain closed until the 100-bolivar note ceased to be legal tender in January, in order to prevent black market trading. Venezuelans are only allowed to cross the border on foot for family visits. 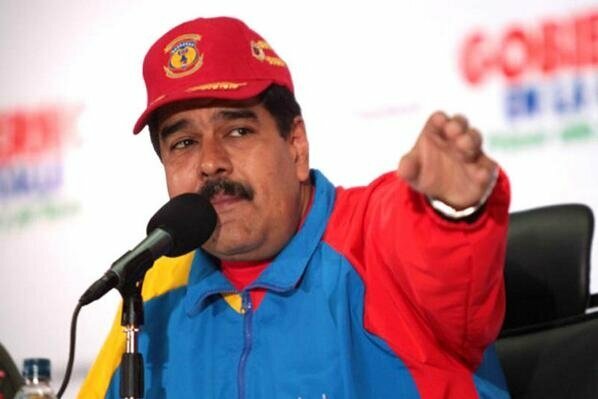 In a TV address, Nicolas Maduro said that 300 alleged looters had been arrested. Nicolas Maduro accused the riot leaders of taking instructions from President Barack Obama, alleging they wanted to engineer a coup against Venezuela’s left-wing government. State TV showed a plane arriving on December 18 carrying the first batch of replacement notes, the 500-bolivar.